Mother's Day is fast approaching (Pssst: It's NEXT Sunday May 10th if you didn't know) and sons and daughters around the globe are scrambling for the perfect gift idea. Well, I don't know about you - but my Mama is impossible to buy for. She has everything she needs, never uses massage/pampering vouchers, doesn't like sweets, doesn't like flowers as gifts, has every appliances under the sun and always gives the answer of "nothing" when asked what she'd like. But that doesn't mean I don't like to spoil her - it just means I have to get creative! 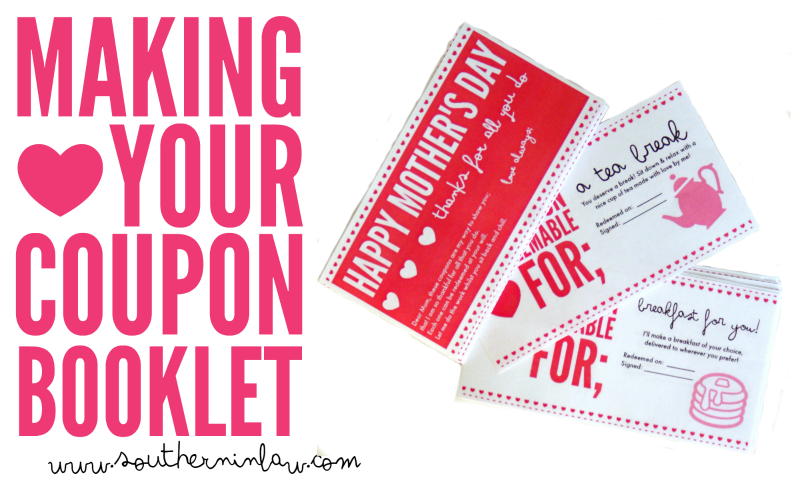 You see, whilst my Mum doesn't need things should could certainly do with a little extra time and that's why this Mother's Day I've decided to put together a coupon book for my Mama (and share it with you so that you can give it to your Mum or Grandma or motherly figure in your life!). 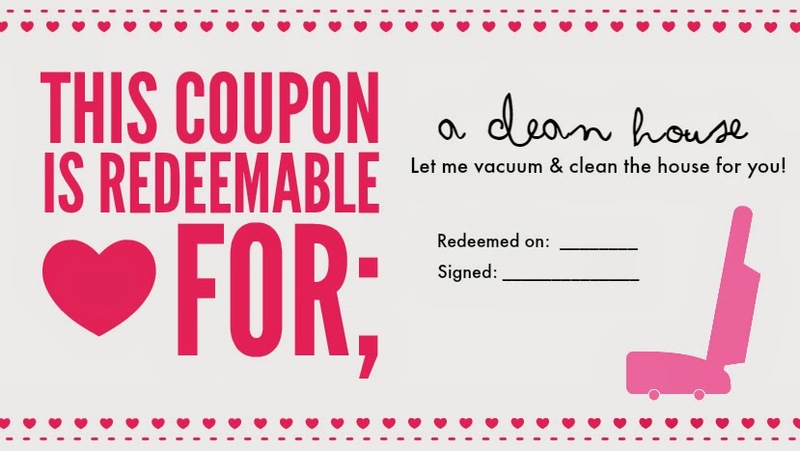 To make sure she gets that extra time to herself, I've also come up with a few simple and budget friendly gift ideas with the help of our friends at The Reject Shop and I've put together free printables to make the whole process incredibly simple! This is the perfect last minute gift idea to show your Mum just how special she is to you. Psssttt; the ideas are so easy (and I've done all the hard work for you!) that you can even achieve the perfect gift just one day before so don't worry if you're reading this at the last minute!! Included within our printables set is also some cute gift notes to help you create the perfect pamper package for your Mum. All you'll need is scissors to cut those out and some cute wrapping to wrap everything up. 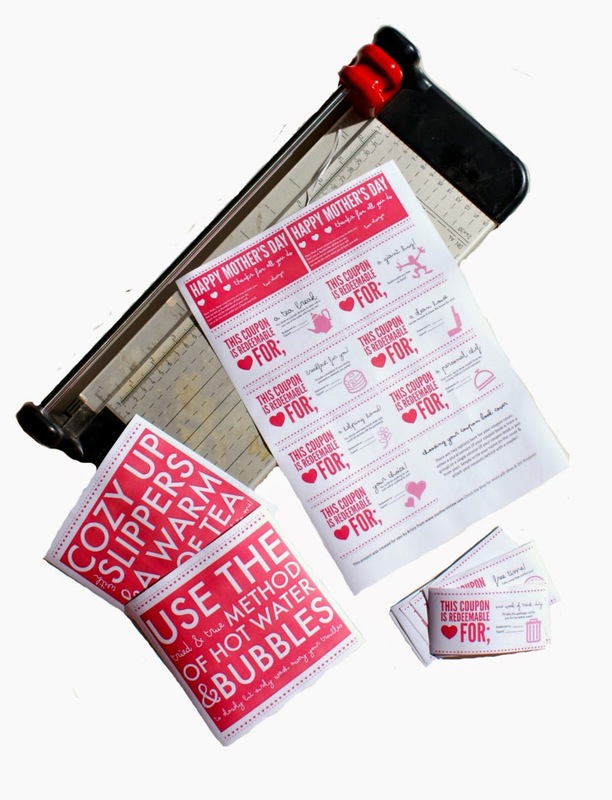 The Reject Shop have an incredible range of Mother's Day Gift Wrap and ribbons and all of our printables have been designed to match their cute heart ribbon which you can see on the left ($2 a roll). I've included all of the different gift ideas below so there's plenty of inspiration! 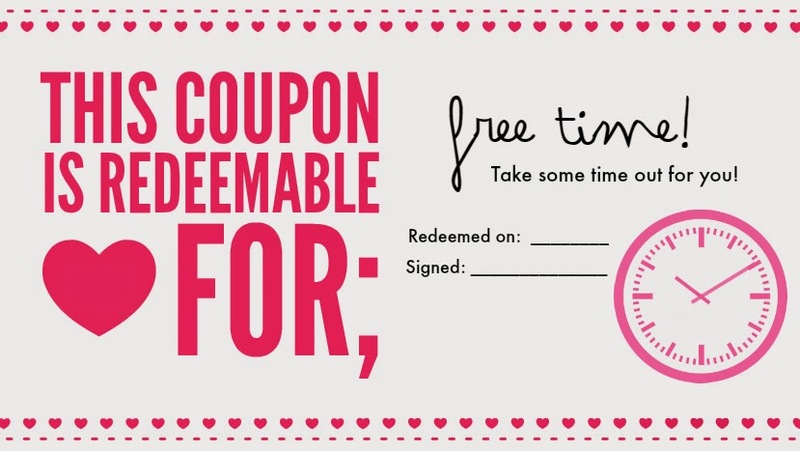 Making your coupon booklet couldn't be simpler! 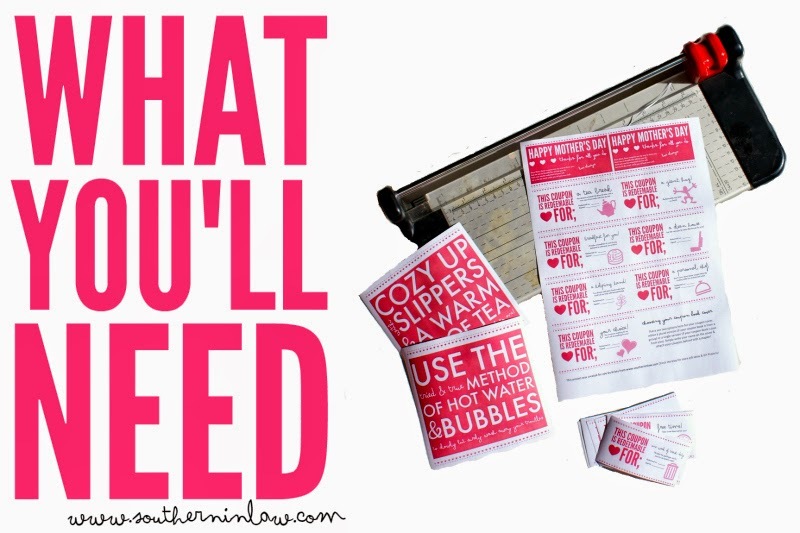 Pile all of your cut coupons together into your booklet, ensuring each one is the right way around and carefully trimming any uneven bits. Staple your coupon booklet together on the left hand side to fasten everything together. But don't stop there! 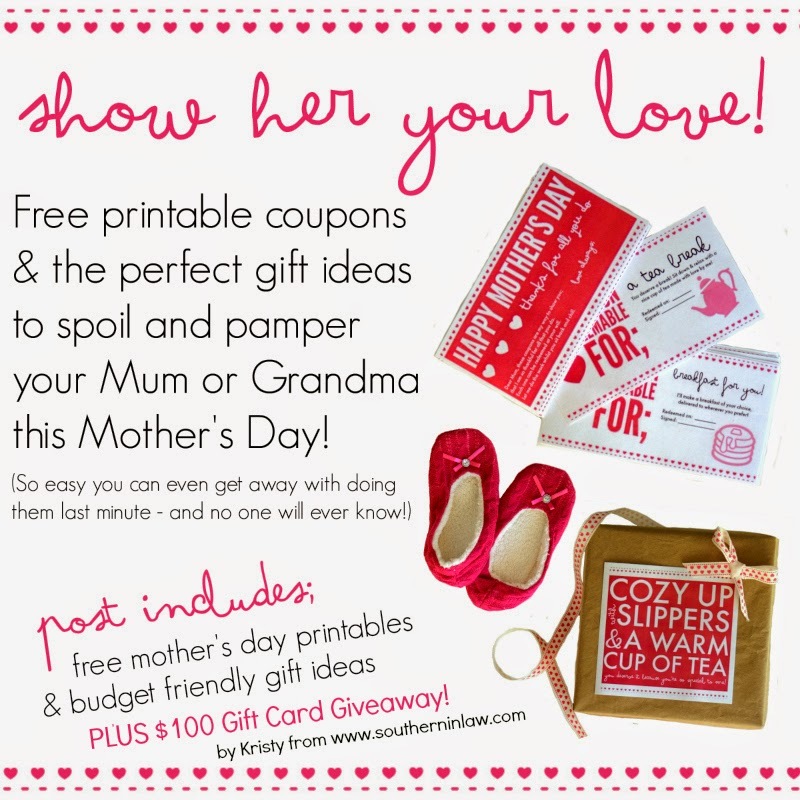 Why not help Mum relax whilst you're busily completing your coupon tasks by creating the perfect pamper hamper for her! Also included in our printables set are two cute Note Cards (which you can also download separately here) to include with your pamper hamper. The first note card is perfect for including with some relaxing bath products like the bath set you see on the left which is just $5 and includes body butter, shower gel and a loofah pad. Add a little oomph by including some candles or incense so that Mum can have the most relaxing soak possible! 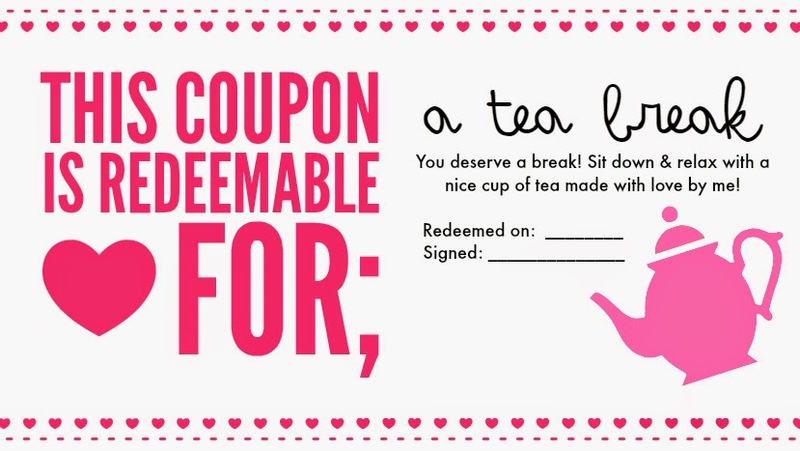 Add a little oomph by combining this with a cute tea mug and her favourite tea! All of our Mother's Day Printables have been designed to match this super cute ribbon from The Reject Shop ($2 a roll) but the cuteness doesn't stop there! They have heaps of cards, wrapping paper, stickers, ribbons and boxes that are perfect for wrapping up your Mother's Day gifts. I'm a brown paper loving girl, however, you could also pop all of your gifts into a basket or gift box, both of which you'll find at The Reject Shop! I don't know about your Mum, but mine isn't very good at taking time out for herself as she's always thinking of everyone else. 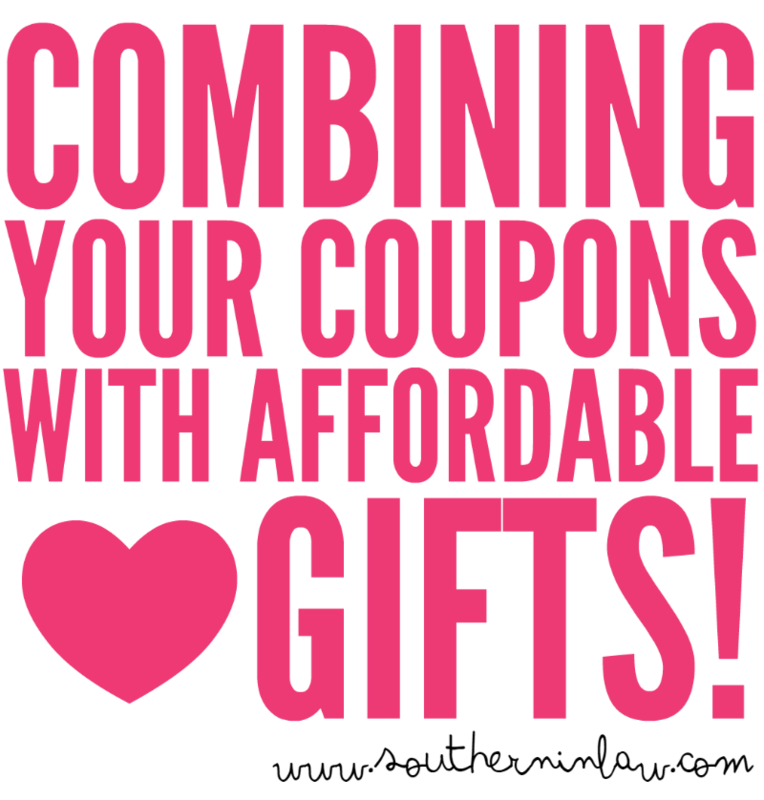 That's why I thought I'd turn my coupon book into the gift that keeps on giving by combining our coupons with a few affordable gift ideas to help her relax and take that much needed time out! Here are a couple of ideas to get you started! My Mum and I are verrrrrrrrrrry similar in that we both don't know how to relax. 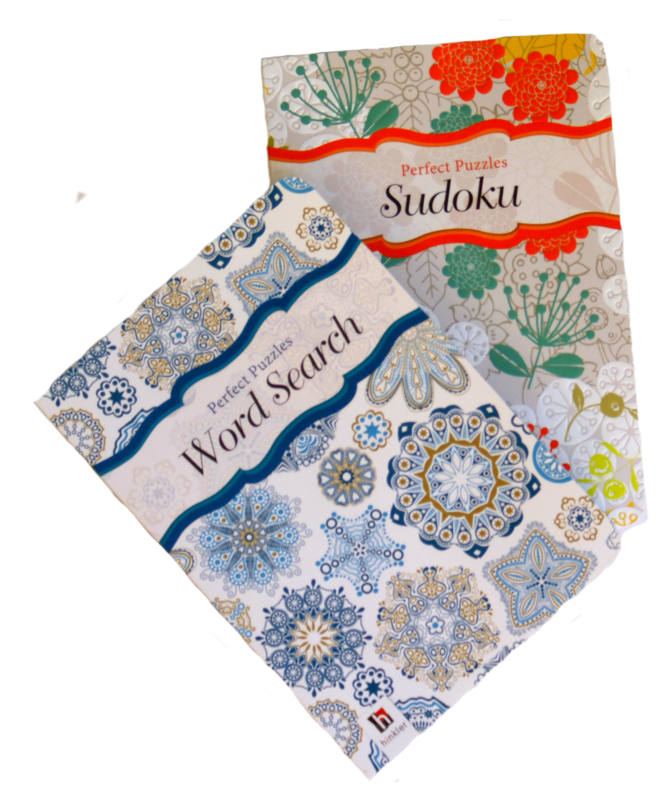 I picked up these cute Sudoku and Word Search Books to help her relax and enjoy her time out as she loves puzzles. The books are just $3 each and are even the perfect size to pop into your handbag. Other ideas to help your Mum enjoy her free time; Her favourite magazines, a great book, a DVD she'll love or something crafty. Think about what your Mum would love to do if she had some time to spare and make sure she gets exactly that! 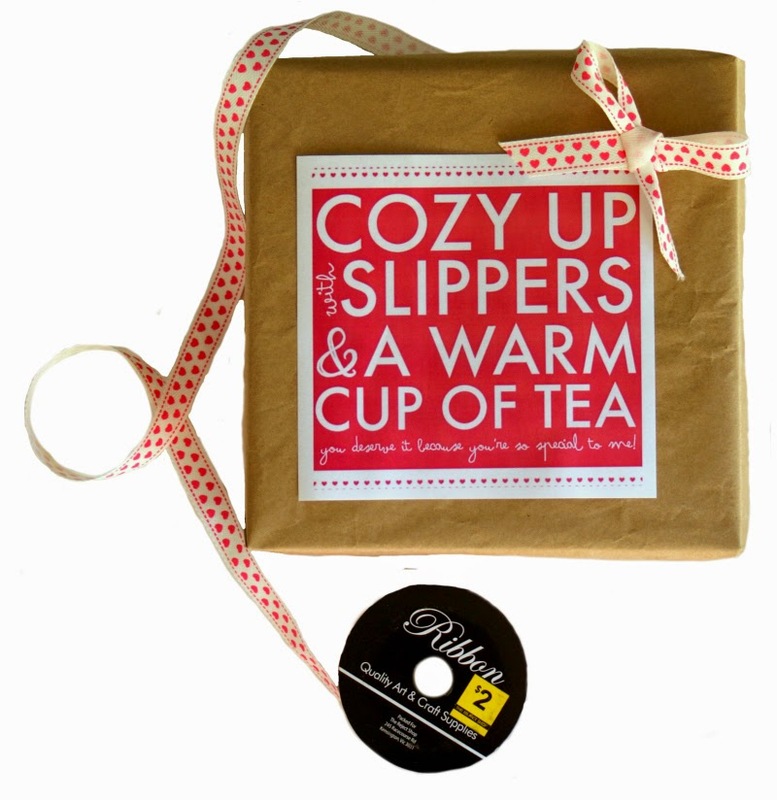 If your Mum is a tea lover, put together a little relaxation station set with her favourite tea, a cute tea cup and maybe even a good book or a cozy blanket to really help her relax. The Reject Shop have tea cups starting from $2 that are the perfect inclusion! Whilst you're cleaning, why not create a special space for Mum. Whether it's her office or favourite chair, spoil her with a comfy throw rug, some nice candles or a vase filled with her favourite flowers. Simply fill out the form below to enter for your chance to win a $100 Gift Voucher from The Reject Shop! Haha, it's a good way to remind yourself that you should do things for your Mum!